Ten years ago, San Diego discount broker ipayOne was flying high. The firm promised to trim agent commissions to 1 percent with a business model that local agents say was built around making mortgage loans to consumers. To supplement its low commission fees, it looked to capture both sides of a transaction as well as feed consumers to its suite of ancillary offerings, including mortgage, appraisal, inspection, home warranty and insurance services. IPayOne’s offering of mortgage, title, real estate and ancillary services also could help to offset the low commissions, CEO Burke Smith said. 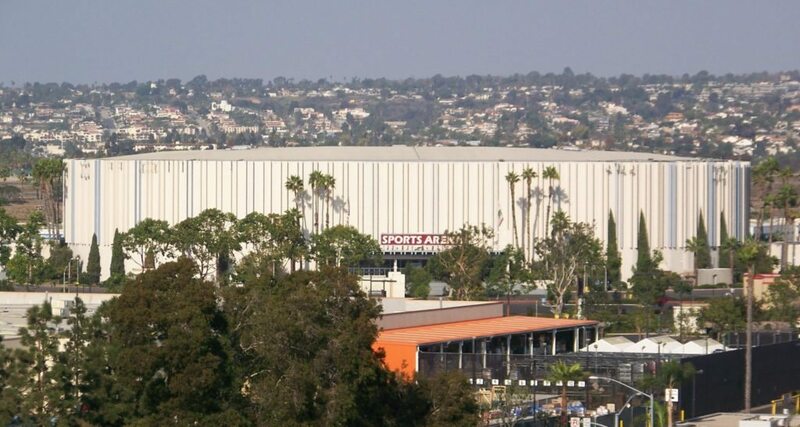 Backed by loads of investor cash, it spent heavily on marketing, including a $2.5 million five-year contract in 2005 for naming rights to the San Diego Sports Arena, where San Diego’s professional baseball team played and acts like singer Justin Timberlake toured. The arena that iPayOne paid to name. Credit: Nehrams2020. IpayOne had a short life in the spotlight despite the prominence its outsized marketing suggested. The sports arena began looking for a new sponsor in 2007 when the firm reportedly began missing scheduled payments. In early 2007, the firm had 74 active listings out of the 16,900 in the local MLS, and then abruptly stopped taking on new business. While iPayOne continued to operate, it did not live nearly as large. It’s California brokerage license expired in June. Seattle brokerage Surefield plans to slash buyer’s agents’ commissions.